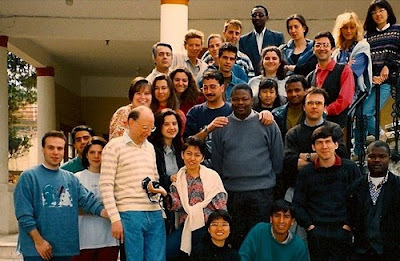 Former IYCS and IMCS chaplain Nicolas Desboeuf died this week in Switzerland. Fr Nicolas was IYCS-IMCS chaplain from 1991-96. “Nicolas was a good friend of all those who came to Geneva for Pax Romana, always smiling, open, welcoming everybod,” said Fr Antoine Sonday, who was Nicolas’ predecessor. “CCI remembers him as a great Cardijn priest,” added CCI convenor Stefan Gigacz.